Bay living at its best found in this charming southern style home in Jolly Bay off Pitts Bayshore drive. Hardwood floors, crown molding, fireplace, large entertainment kitchen overlooking the bay with outdoor living screen porch. 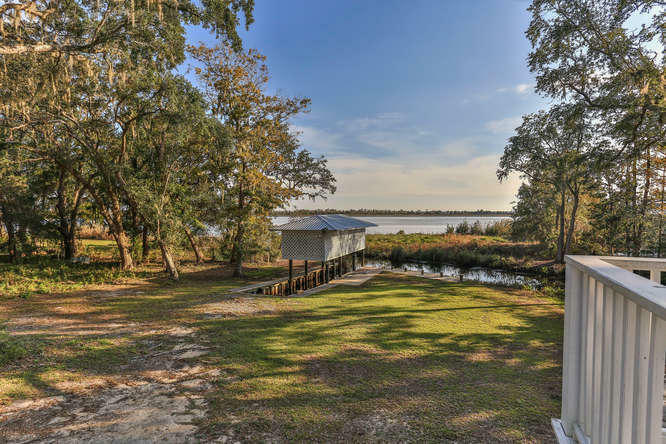 It sits on a Large lot with super huge boat house with two boat lifts on canal providing super protection from storms but has its own Bayfront island access. Three bedroom, two bath, with lots of expansion possibilities. Huge acre lot with hundred year old oak trees. A must see in a quiet dead-end . neighborhood. Includes separate island parcel.